The proposal, presented during the meeting between South Korean President Moon Jae-in and North Korean leader Kim Jong-un in Pyongyang. North and South Korea on Wednesday agreed to prepare a joint bid for hosting the 2032 Summer Olympics, as part of agreements reached during the third inter-Korean summit of the year. The proposal, presented during the meeting between South Korean President Moon Jae-in and North Korean leader Kim Jong-un in Pyongyang, was first put forward by the South Korean Sports Minister Do Jong-hwan during a visit to Tokyo on September 12 and could mean a joint hosting of events by Seoul and Pyongyang, reports Efe. 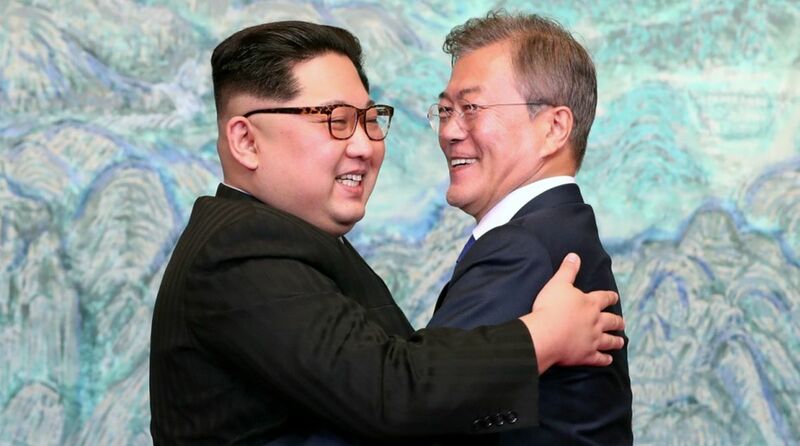 “The two Koreas agreed to jointly take part in international competitions, including the 2020 Summer Olympics, and to seek to jointly host the 2032 Summer Olympics,” said the joint declaration signed by the two leaders on the second day of the three-day summit. Sports have been symbolic of the diplomatic thaw between the two countries this year, starting with Kim’s New Year address, in which he announced that his country was ready to participate and send a delegation to the Pyeongchang 2018 Winter Olympics in South Korea. Both the Koreas participated in the event under the same unification flag, a first since Turin 2006 Winter Olympics, and later repeated the gesture at the Asian Games, held in Indonesia in August. The two Koreas reiterated on Wednesday that they would keep sending joint teams to sports events as was done in the Jakarta 2018 and the Pyeongchang 2018 games.